Widukind: Murderer or Freedom Fighter? So, whose side is right? Both. To eighth-century Saxons, the Westphalian nobleman was a freedom fighter. As a 21st century tolerant American, I cannot condone his burning of churches or slaughter of war captives. Nor can I condone the Franks’ destruction of a sacred monument, coerced baptism, or shaking down anyone for tithes. When events are seen though medieval eyes, however, the reality becomes even more complicated. When a vanquished party swore an oath of loyalty, he invoked the divine. To a medieval Christian, there was only one true God to make the vow valid. Pagan deities were devils, and they would only need to point out the human sacrifices. In the pagans’ minds, those sacrifices of war captives were a thanksgiving for victory. 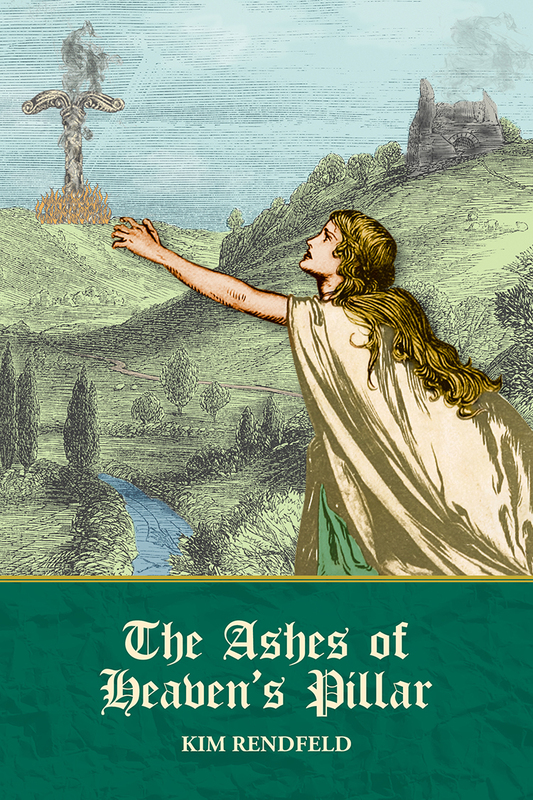 Instead of enslaving the captives, the victors offered them to the war god. And the churches they burned were symbols of foreign oppression. The Saxon must have seen the Franks as oppressors. As his contemporaries complain of Saxons breaking their vows of loyalty to God and king, Alcuin of York, a scholar in Charlemagne’s court, writes letters pleading with fellow Christians to educate the Saxons before baptizing them and to stop demanding tithes—better to lose the money than the souls. Widukind must have been charismatic. Between 777 and 785, Widukind repeatedly led Saxons to battle and inflicted damage. But then the Franks would come and chase away his forces, and Widukind would escape. Even after Charles ordered the execution of 4,500 Saxon men—revenge and justice for a disastrous Frankish defeat—Widukind was still an influence. In late 784, Charles made the bold move to attack Saxony in winter at a time when most wars were fought in spring and summer. With unpredictable weather, no grass in the fields for the horses to graze, and no crops to raid for warriors’ food, the cold, dark months were bad for fighting. Charles spent Christmas at a villa in Saxony and eventually moved to Eresburg, captured almost 13 years before. He used the fortress as a base in the spring and summer then held an assembly in Paderborn. That is when things changed. As Charles gained more territory, perhaps Widukind realized his enemy was relentless. Maybe he was losing support among his own people. Whatever the reason, he decided to negotiate. The Franks see Widukind’s baptism in 785 as a victory, but it might be more accurate to see it as a bargain. Before Widukind traveled to Attigny to go through the rite, he and Charles exchanged hostages, something two peers did to ensure their adversary behaved themselves. When Widukind made his vow, Charles was his godfather and presented him with gifts. In essence, Widukind had Charles’s protection against the monarch’s own Frankish subjects. Perhaps the deal was for Widukind to convert to Christianity, pay tribute to Charles, and quit burning churches so that he could return to his land. The annals don’t mention Widukind after 785, but he may have founded a few abbeys, a typical penance for a nobleman. Even after his conversion, Widukind was still revered by Saxons. A 10th century historian bears his name. That scholar, Widukind of Corvey, dedicated the history of his people to Matilda, a royal woman who claimed the eighth-century Westphalian leader as an ancestor. 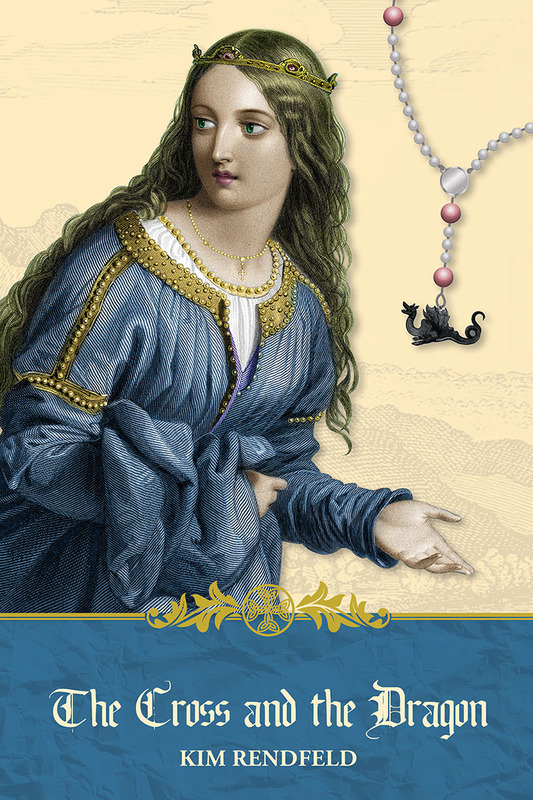 This post was originally published April 14, 2014, at Unusual Historicals. As I discussed last time, Heisenberg developed his ideas without any direct reference to wave-particle duality that had been postulated by Louis de Broglie. 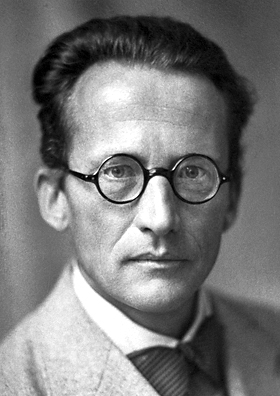 A different approach was taken by Erwin Schroedinger (1887-1961). He took the wave ideas to heart and began working on a theory in which an electron in the hydrogen atom behaved somewhat as a vibrating string. As shown in the diagram below, a string which is fixed at both ends can support only certain vibrations which are related to the length of the string. Thus this phenomena seems to have some relation to the Bohr atom with its limit on the number energies. Schroedinger needed to combine this idea with the de Broglie hypothesis to obtain a mathematical formulation for atoms and other small objects. As with Heisenberg, Schroedinger’s breakthrough would come when he took time away from his daily grind. However, his motivation was quite different from Heisenberg’s hay fever. I will rely on Arthur I. Miller, a historian of science, to describe it. Schroedinger constructed his equation by using de Broglie’s concept and analogies with optics and other wave phenomena. The result was a differential equation in which one can enter information about the energy of the particle. Then solving the equation yields a wave function which provides some information about the particle’s motion. I am being deliberately vague because at the time it was not clear to Schroedinger or his colleagues exactly what information the wave function was providing. Schroedinger’s equation was more appealing to physicists than Heisenberg’s matrix formulation. First, differential equations, while they can be difficult to solve, were well known entities. Newton’s Second Law is an example of a differential equation which physicists had been dealing with for about 200 years. Second, it was much easier to use in calculations than the matrix approach. In the early days, the wave function was thought to represent the location of the charge on the electron or the distribution of the electric charge in space. Neither were very satisfying. 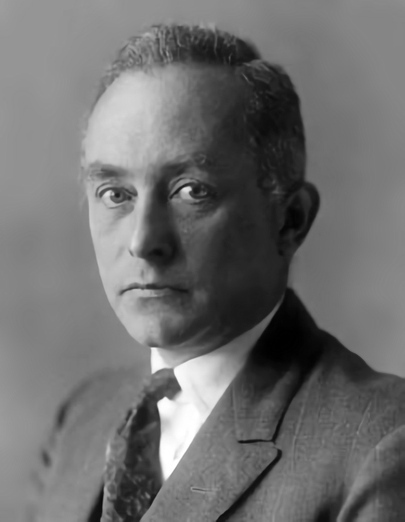 Eventually Max Born suggested that the square of the wave function represents the probably of finding the electron at each point in space. That interpretation of the wave function did not have a strong theoretical foundation but it stuck and made calculations using Schroedinger’s equation very valuable and useful in a variety of areas of physics and chemistry. In describing both Heisenberg’s and Schroedinger’s approach I have used words such as developed or constructed; I have avoided derived. In physics and mathematics, we generally think about fundamental laws being derived. We start with some principles that are well established, bring them together, maybe make a few assumptions, and derive some new ideas. For both the matrix and wave approach to quantum physics, this was not the case. To get to useful results, Schroedinger, Heisenberg, and their colleagues used a variety of analogies and other operations that made sense but could not be derived. Their work is the basis for essentially all of the physics and chemistry related to very small objects. Yet, it cannot be derived; it just works. My theory was inspired by L. de Broglie … and by short but incomplete remarks by A. Einstein. … No genetic relationship whatever with Heisenberg is known to me. I knew of his theory, of course, but felt discouraged, not to say repelled, by the methods of transcendental algebra which appeared very difficult to me and by the lack of visualizability. Schroedinger was repelled by matrix mathematics (which he called “transcendental algebra”) and the lack of a visual connection. Heisenberg, in a letter to Pauli, was somewhat stronger in his views and Schroedinger’s reliance on visualization. The more I reflect on the physical portion of Schroedinger’s theory the more disgusting I find it. What Schrodinger writes on the visualizability of his theory is probably not quite right. In other words, it’s crap. Of course, the letter was written in German. The translation here comes from a chapter by Arthur I. Miller. I have seen the last word (crap) translated in a variety of ways—from poppycock to bullsh**. The German word was Mist which is generally translated as manure. In today’s usage, at least among my German friends, crap is a good translation. Some of the others are too mild, and some are too strong. While feelings ran high in the 1920s, both approaches are now considered very valuable. Physicists choose which to use based on what type of problem they need to solve. For most teaching situations, the wave function approach is introduced first because of its visualization capabilities. However, in some recent advanced undergraduate courses instructors have been starting with part of the matrix method. Most importantly, quantum physics was a revolution in the way we think about matter. It provides the foundation for our understanding and allows engineers and scientists to develop and design many of our modern devices. What started with the ancient Greeks’ attempts to understand matter reached a milestone thousands of years later with the development of quantum physics. There are still some fundamental unanswered questions about quantum physics. Nobel Laureate Richard Feynman (1918-1988) famously said, “I think I can safely say that nobody understands quantum mechanics.” But it has worked well for almost 100 years to explain many phenomena related to atoms, molecules, and solids. When I began this series almost four years ago, I started with ideas from a short lecture that I had given at the Smithsonian Institution in the 1990s. Based on that talk, I expected to write about six to eight posts and be done. But I found a lot of interesting distractions along the way. Now that I have finally reached the quantum revolution, I will take a break. A lot of interesting developments have occurred in the past 90 years. Before I think more about them, I will pause for a while. Dean Zollman is university distinguished professor of physics at Kansas State University, where he has been a faculty member for more than 40 years. 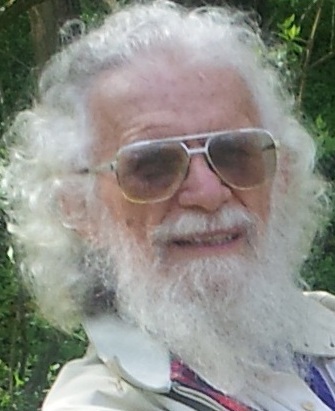 During his career he has received four major awards—the American Association of Physics Teachers’ Oersted Medal (2014), the National Science Foundation Director’s Award for Distinguished Teacher Scholars (2004), the Carnegie Foundation for the Advancement of Teaching Doctoral University Professor of the Year (1996), and AAPT’s Robert A. Millikan Medal (1995). His present research concentrates on the teaching and learning of physics and on science teacher preparation. Did Busy Work Lead to Models for Atoms? Why Does Ice Melt? The Answer Lies in Physics. In the last post, I discussed an experimental confirmation of Louis de Broglie’s hypothesis that matter could behave as waves do. In that case, Clinton Davisson and Lester Germer observed interference effects that could occur only if matter had wave-like behavior. In this post, we will back up in time just a little and consider the first of two theoretical developments that also occurred in the mid-1920s. The second approach will be discussed next time. 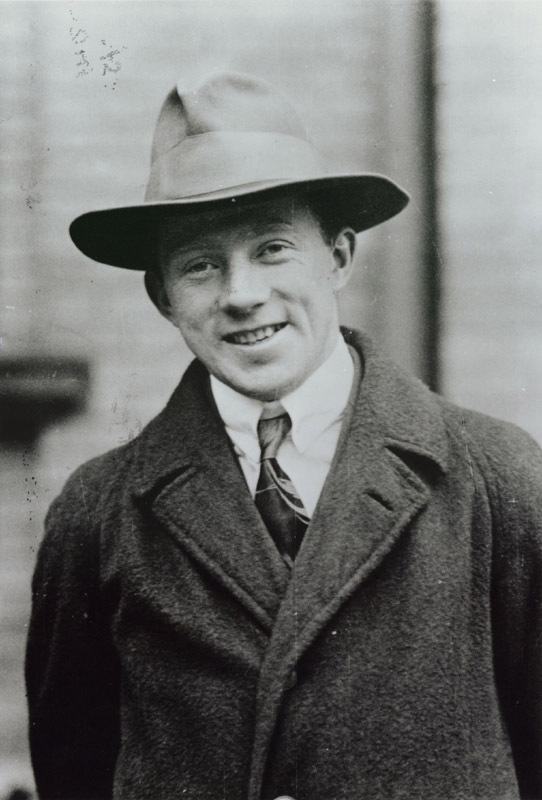 In 1925, Werner Heisenberg (1901-1976) was conducting research at the University of Goettingen in Germany. He was working under the direction of Max Born (1882-1970) and trying to resolve some of the mysteries that recent experimental discoveries had revealed. He had just spent about eight months working with Niels Bohr in Copenhagen. Thus, he was building on Bohr’s work and trying to find a fundamental basis to explain the Bohr Model of the Atom and the discrete spectrum of the hydrogen atom. Heisenberg had concluded that he needed to “reinterpret” classical mechanics in order to bring quantum ideas in to the picture. To do so, he looked first at a situation that was simpler than an atom—a certain kind of oscillating object whose behavior was not quite periodic. Heisenberg and his colleagues at Goettingen made some progress. They were able to base their theory on a new set of mathematical operations. While this approach showed some promise, it did not involve Planck’s constant and thus did bring in the latest quantum interpretations. While working intensely on this issue, Heisenberg suffered an extreme attack of hay fever. He needed to get away from pollen, so on June 7, 1925, he left for the island of Helgoland. This German island in the North Sea has very little vegetation and therefore very little pollen. As he recovered from the hay fever, Heisenberg also had very little distractions. So, he was able to develop a mathematical approach to quantum physics. When Heisenberg returned to Goettingen, he presented the ideas to Max Born and his young assistant Pascual Jordon (1902-1980). They recognized that Heisenberg’s formulation was quite similar to a relatively new mathematical concept called the matrix. So, they expanded the ideas to create a matrix approach to quantum physics. While Heisenberg’s matrix mechanics worked to obtain observable results, it was very difficult to use to complete calculations. For example, Wolfgang Pauli obtained the energy levels in the hydrogen atom using matrices and thus connected it back to Bohr’s ideas and the spectrum of hydrogen. However, it took him 40 pages of calculations to get to a result that could be observed in an experiment. Unfortunately, that statement does seem to be true. Part of the reason is that matrix mechanics, as it became to be known, is not easily visualized. During the years that I have been teaching quantum physics to non-science students, I have not found an acceptable way to present this approach to students who have not studied the detail of matrix algebra. Fortunately, a different method that was developed about the same time is more easily visualized. We will look at that approach and learn about Erwin Schroedinger in the next post and the rivalry that developed between Heisenberg and Schroedinger. Public domain images via Wikimedia Commons. Dean Zollman is university distinguished professor of physics at Kansas State University, where he has been a faculty member for more than 40 years. During his career he has received four major awards — the American Association of Physics Teachers’ Oersted Medal (2014), the National Science Foundation Director’s Award for Distinguished Teacher Scholars (2004), the Carnegie Foundation for the Advancement of Teaching Doctoral University Professor of the Year (1996), and AAPT’s Robert A. Millikan Medal (1995). His present research concentrates on the teaching and learning of physics and on science teacher preparation. As I have discussed previously, the fundamental property that distinguishes waves from particles is interference. When two particles meet, they bounce off each other. Two waves can reinforce each other (constructive interference), cancel each other (destructive interference), or have some result between these two extremes. To observe interference experimentally, we need to arrange for waves to move along two different paths and then meet. The distance that each wave travels determines the type of interference. In one method, the wave goes through two openings simultaneously and then combines. In another, the waves reflect off two surfaces that are very close to each other. This second method is more common in everyday life. When you look at a soap bubble or at a puddle with a thin layer of oil on it, you frequently can see colors, with each color at a different location. The colors are created by some light reflecting from the top of the oil and interfering with light that travels through the oil and reflects from the water. The colors appear because each color has a different wavelength and thus constructive interference occurs at different places. Light passing through opening is less common in everyday life. Although, you may have seen an interference effect by looking at light through a fine lace curtain. To show that particles have wave properties, physicists needed to observe some type of interference with particles. Then, they would need to compare the results of the interference with de Broglie’s predictions. The most logical particle to start with was the smallest one known at that time—the electron. The biggest difference when we consider electrons instead of light is the size of the objects and wavelengths. To cause interference, the sizes need to be approximately the same as the wavelength of the object doing the interfering. The wavelength of light is quite small but within the general range of the thickness of a soap bubble or an oil slick. One can also make openings for light to pass through by using a razor blade carefully. But using de Broglie’s result, we find that the wavelength of an electron is much smaller than that of visible light. It is similar to the wavelength of X-rays. The solution to this problem is to use crystals. In a crystal, such as table salt, the atoms line up in nice, neat patterns. The layers of atoms create surface from which waves can reflect while the spaces between atoms can be used for opening through which waves can pass. The distances between atoms in the crystal are the sizes we need to observe interference. Two research efforts—one in the U.S., the other in the U.K.—independently worked on this experiment. In his Nobel Prize lecture one of the experimenters, Clinton Davisson, described the two locations as “… in a large industrial laboratory in the midst of a great city, and in a small university laboratory overlooking a cold and desolate sea.” The experiment in the large industrial laboratory used the reflection method while the one near the cold and desolate sea used transmission through small openings. Both involved crystals. The effort in the United States took place at Bell Labs. This laboratory was established in 1925 by the old version of AT&T. Its general mission was to conduct research to improve communications. However, a large amount fundamental research also took place. Over many years, many important scientific discoveries were made at Bell Labs, and some significant devices which are now part of our everyday life (and not just telephones) were invented there. The Wikipedia article on Bell Labs lists these achievements and the Nobel Laureates who worked there. Clinton Davisson (1881–1958) began working for Western Electric, a division of AT&T, during World War I. After the war, he remained with the company and joined Bell Labs when it was founded. Lester Germer (1896–1971) worked for Western Electric for just a couple of months before entering military service in World War I. During the war, he was one of the first airplane pilots to see action on the front. After the war and a short rest, he was rehired by Western Electric and assigned to work with Davisson. They were assigned projects to look at some aspects of metals that were used in parts of the telephone company’s amplifiers. One aspect of this work involved shooting electrons at the metals. They were looking at how the electrons bounced off metals to better understand the metals’ properties. (Physicists use the phrase elastic scattering of electrons rather than bouncing off.) Wave behavior of electrons were not part of the research agenda. And for a while, they did not see any such behavior. Clinton Davisson (left) and Lester Germer in 1927 hold the apparatus that they used to detect electron interference (public domain via Wikipedia Commons). Here’s a schematic drawing of the Davisson-Germer experiment. The electrons’ speeds are set by the apparatus in the lower left. The movable detector looks at the number of electrons coming off at different angles (by Roshan, CC BY-SA 3.0, via Wikimedia Commons). Davisson described how they became interested in looking at the details of the electron scattering. “Out of this grew an investigation of the distribution-in-angle of these elastically scattered electrons. And then chance again intervened; it was discovered, purely by accident, that the intensity of elastic scattering varies with the [angle].” This change in intensity with angle was much like the different colors of light appearing at different angles when it reflects from the surfaces on a bubble. The phenomenon implies an interference pattern. As Davisson and Germer investigated the scattering of electrons from crystals, they completed 21 different experiments. For each experiment, they could accelerate the electrons to a speed that they knew. So they also knew the electron’s momentum. In turn, they could calculate the wavelength of the electron and determine at which angle the constructive interference should occur. They compared their results for angle of the maximum number of electrons with the angle predicted by using de Broglie’s wavelength. For 19 of the experiments, their results matched extremely well with the wavelength predicted by de Broglie. The picture below shows the result of a modern version of Thomson’s experiment, one that is done by many college physics majors. The light and dark circle are locations where constructive and destructive interference of electrons (respectively) occur. A modern version of Thomson’s experiment shows rings similar to the ones that he saw in his photographs (by And1mu, CC BY-SA 4.0, via Wikimedia Commons). The results indicated that electrons had wave-like behaviors. As with the Davisson-Germer experiment, Thomson accelerated the electrons to a speed that he knew very well. So he could use de Broglie’s hypothesis to determine the wavelength. Using that wavelength, he predicted where the bright rings should occur in the photographs. The agreement between predictions and measurements were “within 1 percent.” G.P. Thomson had shown that indeed electrons behaved as waves. These two experiments definitively established the wave behavior of matter. This behavior is at the foundation of most of contemporary physics and is critical to the development of many devices that today we take for granted. However, measuring the wave behavior was just one important step. Next time, we will look at the major theoretical advance that was underway at about the same time as these experiments. To create a model that worked, Niels Bohr needed to assume that the electron could orbit the nucleus at only certain radii and that all other radii were forbidden. In the two previous posts, I mentioned that this assumption was a major concern. Bohr could not justify the assumption but used it in order to make the model match the data had been collected for more than half a century. A justification was forthcoming in the 1920s. In this post, I will discuss this research. However, the underlying reason for the discrete orbits very quickly became much more than just a justification for Bohr’s model. It was the beginning of a revolution in the understanding of atoms and other small objects. And it basically put the Bohr model “out of business” as a serious contender for the model of atoms. More about that revolution will come next few posts. First we need to learn about the critical step to get the revolution started. From his name alone, you know that Louis-Victor-Pierre-Raymond, seventh duke of Broglie (1892–1987) came from an aristocratic French family. In the 1920s, he was not yet the seventh duke and used the somewhat less pretentious name Louis de Broglie. As a student, he began graduate studies in history but decided that theoretical physics was more interesting. He was motivated in part by his elder brother, the sixth duke of Broglie, an experimental physicist. “I was attracted to theoretical physics by the mystery enshrouding the structure of matter and the structure of radiations, a mystery which deepened as the strange quantum concept introduced by Planck in 1900 in his research on black-body radiation continued to encroach on the whole domain of physics,” he said during his Nobel lecture. By applying Planck’s hypothesis, Einstein concluded that light which is normally considered a wave sometimes acted like a particle with its energy given by the equation above. In those days, it was not uncommon for a graduate student to work on his or her own and deliver a completed dissertation to the examining committee. Basically, de Broglie worked in this way. However, his hypothesis was not received well by the committee. Certainly part of the problem that the committee saw was that de Broglie could not refer to a single experiment that supported his work. A member of the committee was Paul Langevin (1872–1946), a prominent physicist in the 1920s. De Broglie later said that Langevin was “probably a bit stunned by the novelty of my ideas.” Even though he may have been stunned, Langevin sent a copy of the dissertation to Einstein for his review. Einstein rather quickly responded, “I believe it is a first feeble ray of light on this worst of our physics enigmas.” De Broglie wrote in the German translation of his dissertation, “Einstein from the beginning has supported my thesis.” (De Broglie’s dissertation is also available in a modern translation into English at the Fondation Louis de Broglie site. However, it has some heavy duty mathematics.) With Einstein’s endorsement, de Broglie received his PhD. To explain why the electron in an atom could have only certain orbits, de Broglie relied on the interference property of waves. As shown in the figure below when two waves meet, the result is a bigger wave or a smaller one. On the left side of the figure is the result when the troughs and the crests of the two waves match up. The result shown at the top is a bigger wave. This effect is called constructive interference. On the right, the crests of one wave matches with the troughs of the second. As shown at the top of this one, the two waves cancel each other. This one is destructive interference. For the electrons in atoms, the wave needs to exist as they move in a circle. The drawing below show different situations for these circular waves. For the waves in (a) each of the waves can fit on a circle and close on themselves. When they come back around they act like the waves on the left in the figure above. Toughs meet troughs and crests meet crests, and we have constructive interference. So they add nicely. Because the wave of the electron is not zero, we can conclude that the electron can exist in these two orbits. However, when the wave in (b) comes back around the troughs will eventually meet crests. They act like the waves on the right of the figure above. Thus, the wave is canceled (destructive interference), so the electron cannot exist in the orbit because its wave is zero. The net result is that only certain radii can meet the condition that an electron’s wave just fits nicely on the circumference of the circle. Only when the electron’s wave can exist, can the electron be in that orbit. Thus, de Broglie’s electron waves give a reason for Bohr’s orbits. A result of a detailed analysis of the electron orbits and several other phenomena provided evidence that de Broglie was on to something. However, the explanations of the Bohr orbits and other phenomena were indirect evidence of the wave behavior of matter. Constructive and destructive interference can only occur with waves; particles cannot do it. If electrons really have wave properties, physicists should be able to devise an experiment in which they can directly observe the constructive and destructive interference of electrons. Within a few years of publication of de Broglie’s dissertation such experiments were completed on both sides of the Atlantic. There are some interesting stories connected to the experiments, so I will save them for next time. If you look at a description of the Bohr model of the atom in most textbooks or many popularized accounts, you could easily get the impression that it was an immediate success. Physicists were troubled by some of its assumptions, but it worked, so they moved on. However, like several other developments that I have discussed in these posts, the history is more complex. Many physicists were not just unhappy with some of the assumptions, they were sure the entire model was absolutely wrong. Basically the Bohr model of the atom was an attempt to use the classical physics of Newton, Maxwell, and others but incorporate the quantum ideas of Planck and Einstein. Thus, it was the beginning of a revolution but not as great as the revolution that was to come soon. As a result of Bohr’s quantum-classical blended model, five major concerns arose. An accelerating charged particle will emit continuous radiation. An electron moving in a circle is accelerating. Yet in Bohr’s model the orbiting electrons did not radiate. If it did, the electron would spiral quickly into the nucleus. (I discussed this one in a previous post.) Bohr had no logical reason for the nonradiating electron, but without it, atoms would not exist. In the early 20th century, electromagnetic radiation such as radio waves was created by shaking electrons back and forth. The frequency of the shaking determined the frequency of the wave. For radio, microwaves, etc., we still do that. A radio station that broadcasts at 99.5 megahertz shakes electrons in its antenna 99,500,000 times per second. Scientists in 1913 expected that light was emitted in the same way, so an electron in an atom would vibrate to emit light. However, in the Bohr model nothing vibrated; the light just appeared as the electron changed orbits. Even worse, these “quantum jumps” in orbit seemed to occur without a cause. Once an electron was in orbit with an energy higher than the lowest possible energy, it would at some time move to a lower energy, but Bohr could not ascribe a cause to that event. Then, physicists asked: how does the electron “know” where it is going? When it leaves one orbit, it gives off a photon of light. The energy of that photon is determined by the energy that the electron will have when it lands in the lower orbit. It seems that the electron knows what will happen to it before the event is finished. And, finally, what happens to the electron in between the time it leaves one orbit and the time it gets to the second orbit? So, there were some rather good reasons to wonder if Bohr was making up a story that just did not fit with the known laws of physics. However, for many people something was more important than these concerns. The Bohr model worked in a way no other model of the atom had. Bohr had been able to reproduce the equation for the spectral lines that had been discovered by Balmer. He had also explained several recently observed effects. That was enough for some physicists, but not for all. This change made the connection between the model and recent accurate measurements even better than the model with circular orbits. Thus. These refinements to create the Bohr-Sommerfeld model gave the model more credibility than it had before. However, not everyone was happy with this turn of events. Paul Ehrenfest (1880-1933) wrote to Sommerfeld to congratulate him on this work. His statement was somewhat a back-handed compliment. He said, “Even I consider it horrible that this success will help the preliminary, but still completely monstrous, Bohr model on to new triumphs, I nevertheless heartily wish physics at Munich further success along this path!” Earlier Ehrenfest had written to Hendrik Lorentz (1853-1928), “Bohr’s work on the quantum theory of the Balmer formula, has driven me to despair. If this is the way to reach the goal, I must give up doing physics.” Clearly, Ehrenfest was not a fan of the Bohr model. One of the least diplomatic critics of Bohr was Johannes Stark (1874-1957). In 1919, Stark received the Noble Prize for two discoveries. One of these discoveries, which bears his name, is that spectral lines will split into more than one line when the atoms that emit them are in an intense electric field. Other physicists were able to use the Bohr-Sommerfeld model of the atom to explain why this splitting occurs. That did not, however, stop Stark from taking an intellectual shot at Bohr. In other words, Planck’s ideas are OK, but Bohr misused them and must be wrong. I have not found any record of Stark’s thoughts when Bohr was the recipient of the Nobel Prize three years later. Stark’s choices in politics were also not very wise. With Philipp Lenard (1862-1947) he led the Deutsche Physik (German physics, sometimes called Aryan Physics) movement during the Nazi period in Germany. There were also many critics of Bohr’s model in England, including J.J. Thompson (1856-1940), the discoverer of the electron, and John William Nicholson (1881-1955), who developed his own atomic model. All of the criticisms were eventually silenced when Bohr’s model was replaced by modern quantum theory. We will get to that in a couple of months. But, first we will look at an explanation for why the electrons do not radiate while moving in an orbit. This hypothesis partially helped give a foundation to one of Bohr’s assumptions and laid more of the groundwork for quantum theory. It even involves a French prince. Last time, I discussed the historical perspective on the development of the Bohr Model of the Atom. This discovery is critical to the development of the modern quantum view of matter. So, this time I deviate some from the historical approach and discuss the physics of Niels Bohr’s model. Understanding the ideas that go into the model is not complex. Bohr’s genius was putting all of the parts together and adding one critical assumption. Newton’s basic laws of motion. Light is a form of energy, so when an atom emits light, it must decrease its own energy. Planck and Einstein had showed that light came in energy packets (photons). The value of the energy is a constant, called Planck’s constant, time the frequency of the light. Rutherford had discovered the atom is composed of a positive charge (nucleus) at the center and negative charges (electrons) around the positive charge. Positive and negative charges attract each other and energy can be stored in the electrical attraction. Each atom emits a spectrum of light, and that spectrum is unique to each element. The electron can occupy only certain orbits around the nucleus. While in these orbits, the electrons does not emit or absorb light. Light is emitted or absorbed when electrons changes orbits. These ideas built on those of others, but Bohr applied them in a unique way. Why Don’t Things Fall Apart? Limiting the electrons to certain orbits was the critical step. Bohr knew that an electrical charge moving in a circle should radiate light continuously. Such a process would result in all colors of light being emitted, and the electron crashing into the nucleus in a very short time. He needed a reason for the atom to be stable. To create that situation, he assumed that the electron could have only certain values for its angular momentum. The angular momentum for an object traveling in a circle is its mass times speed times radius of the circle. Bohr’s assumed that this quantity had to be an integer number times Planck’s constant divided by 2 pi. While moving in these allowed orbits, electrons do not emit any electromagnetic energy. When moving from one orbit to another, however, the electrons absorb or release energy. If the electron moves to an orbit farther from the nucleus, it absorbs an amount of energy equal to the energy of a photon in one of the absorption lines. This energy is also the difference in the energy of the electron in the orbits. When the electron jumps to an orbit closer to the nucleus, it releases an amount of energy equal to the energy of a photon in one of the emission lines. Allowed orbits restrict the possible jumps to just a few. Consequently, the light spectrum emitted by atoms would be discrete. Since Bohr’s model uses the same orbits to explain both emission and absorption of energy, it predicts emission and absorption lines that have identical energies. In proposing that electrons move only in allowed orbits, Bohr was suggesting that the energy of the electron can be measured, or quantized. In any given orbit, an electron has a certain amount of kinetic energy associated with its motion and electrical potential energy associated with the electrical force of attraction exerted by the nucleus. If electrons move only in allowed orbits, their energy takes on selected, or discrete, values. Bohr saw the same quantization of energy in the atom that Planck saw in the radiation emitted by solids and Einstein saw in the photoelectric effect. At the atomic level, energy appears in discrete amounts. To make these ideas quantitative, Bohr combined this idea with the equations for energy of an orbiting electrical charge and Newton’s Laws. After some algebra, he had an equation for the values of the possible energies that an electron orbiting a hydrogen nucleus could have. The light was emitted or absorbed when the electron moved from one orbit to another. So the energy of the photon was equal to the difference between those energies. To obtain the frequencies of light emitted or absorbed by hydrogen atoms, Bohr applied the Planck-Einstein energy of a photon. The energies associated with each allowed orbit provide a useful way of describing what happens as atoms absorb or emit light. The energy-level diagram below provides a convenient way to describe the energy emitted or absorbed by a hydrogen atom. The lowest red line is called the n = 1 energy and corresponds to the energy of an electron when it is moving in the smallest orbit, the orbit closest to the nucleus. This is often referred to as the ground state of the electron because it represents the smallest energy the electron can have. The n = 2 line corresponds to the energy the electron has in the next orbit, n = 3 in the third orbit, and so on. Collectively, the energy levels above ground state are called excited states. The energy of the electron increases as we move to higher excited states. The distance between states is proportional to the energy difference between states. So, for example, the energy difference between n = 3 and n = 2 is smaller than that between n = 2 and n = 1. The blue arrows in the energy level diagram indicate that the electron has changed energy from an excited state to a lower energy state. At the top of the diagram is the spectrum of hydrogen. The lines indicate the colors that would be emitted by these changes. All of the photons emitted by changes to the n = 1 energy are in the ultraviolet and are drawn in gray on the right side of the spectrum. The transitions to the n = 2 energy are visible and shown by their approximate colors. These are the spectral lines that Balmer saw. In a sample of hydrogen gas at room temperature, each atom is most likely to have its electron in its ground state. An external source – heat, light, or electricity – can provide energy to these electrons. When we pass white light through a sample of hydrogen gas for example, electrons “select” photons of energy needed to move into excited states. As shown in the diagram below electrons might move from n = 1 to n = 2, from n = 1 to n = 3, from n = 2 to n = 3, and so forth. Because the energy levels are the same as for emission, the only change in the diagram is the direction of the arrows. The electrons are moving from lower energy to higher energy. The photons with energies equivalent to each of these jumps are absorbed while the others are ignored. Consequently, the light that emerges is the full spectrum minus the photons with frequencies used to move electrons into excited states. We see a discrete absorption spectrum. One of the successes of Bohr’s model is that he could calculate the energies of all of the levels in the hydrogen atom. The n = 1 (ground state) energy is -13.6 electron volts. (The minus sign is a notation to indicate that the electron is being attracted to the nucleus.) The next one, n = 2, is -3.4 electron volts. In general the energy of the nth level is -13.6 eV/n2. (An electron volt (eV) is a very small unit of energy used in atomic physics.) Bohr was able to obtain these numbers by doing some algebra and getting a result that depends only on constants such as the electrical charges on the electron and proton and Planck’s constant. Likewise, he could determine the radius of the hydrogen atom. He did not need Balmer’s data from observations. So, he had a model that seemed quite complete. In addition to explaining the discrete spectra found for chemical elements, Bohr’s model also resolves the problem of why atoms do not collapse. The electron can lose only specific amounts of energy equivalent to the jumps in the energy-level diagram. When it reaches lowest energy, the electron can neither lose more energy nor move closer to the nucleus. The stability of the atom is assured. Bohr’s model of the atom moved several pieces of the atomic puzzle into place. It did, however, leave some questions unanswered. While the concept of allowed orbits explains both the stability of the atom and discrete emission and absorption spectra, it is not based on any known principles of physics. There seems to be no reason for electrons to jump instantaneously from one energy state to another, shunning all energies in between. Furthermore, additional observations revealed limitations to the model. While it was enormously accurate in describing the hydrogen spectrum, Bohr’s model was far less successful in describing the spectra produced by more complex atoms. Moreover, the intensity of individual spectral lines varied. Some lines were brighter than others – an observation for which Bohr’s model offered no explanation. The resolution to these problems lay in yet another model of the atom – the quantum mechanical model. We will move toward learning about it next time. Much of the material in this post was adapted from Fascination of Physics by Spears and Zollman. It is used by permission. When asked to visualize or draw an atom, most of us would probably draw a small central nucleus with electrons orbiting in circles or ellipses. Some of the electrons would be close to the nucleus while others would be farther away. An example is shown in the drawing below. This view of the atom is a representation of the Bohr Model. While it is no longer considered the most correct one, it has appealed to many people for over 100 years. So, it is frequently used when we want to represent something that we cannot see (and even have difficulty comprehending). The Bohr Model builds on the concepts that we have discussed in the previous two posts. It incorporates Max Planck’s ideas that the energy of light is related to its frequency and to Albert Einstein’s concept that light comes in small packets of energy called photons. The model also brings in Ernest Rutherford’s discovery that the atom has a very small but very massive center which has a positive electrical charge. Thus, the model includes many of the important discoveries of the early 20th century. Niels Bohr (1885-1962) was born in Copenhagen and raised in a family with many intellectual advantages. His father, Christian, was a very accomplished physiologist; his mother, Ellen, was a member of a prominent family in Denmark. Bohr attended the University of Copenhagen and received a doctorate in 1911. At the time, Bohr was studying physics at the university, a large fraction of the work in physics was focused on using the recently discovered electron to explain a variety of phenomena. Thus, Bohr’s master’s and PhD studies were about an electron theory of metals. Because he had created a theory involving electrons, Bohr decided to begin his postdoctoral work with the discoverer of the electron, J.J. Thomson. So, he moved to the Cavendish Laboratory in Cambridge. The collaboration with Thomson did not work out well, and Bohr was rather frustrated with his time in Cambridge. However, he soon met Ernest Rutherford who had recently discovered the structure of the atom and the presence of a nucleus. Rutherford was impressed with Bohr and soon invited him to join the research group at the University of Manchester. So Why Is This Element So Stable? Bohr immediately began making significant contributions to work in Rutherford’s lab. One of his early research activities was to understand how alpha particles, which were emitted in some radioactivity, slowed down as they interacted with matter. His collaborator for this work was Charles G. Darwin (1887 –1962), grandson of the Charles Darwin. Issues of stability of the atom were critical to their work as they were to then current models of the atom. As we discussed several months ago, Rutherford had devised a planetary model of the atom. However, this model had a fundamental problem. Based on the laws of electricity and magnetism, the atom was not stable. The electron in orbit should very rapidly radiate energy and end up in the nucleus. By June 1912, Bohr was spending all of his research time on a model of the atom. At this time Bohr’s concerns were radioactivity, the periodic table and how atoms bound together to make molecules. He was not yet interested in the spectra of light emitted by the atoms. This concept led John W. Nicholson (1881-1955) to consider a similar idea but using a model of the atom in which all electrons were in orbit outside the positive charge but all at the same distance from the nucleus. Nicholson was interested in explaining the light in stars’ spectra that seemed to have no counterpart on earth. After some work, Nicholson concluded that his model worked best if he required that the angular momentum of the electrons was equal to an integer times Planck’s constant divided by 2 pi. At this time, Bohr had apparently not heard of or had forgotten about Balmer’s famous formula which described the values for the frequencies of the light emitted by the hydrogen atom. 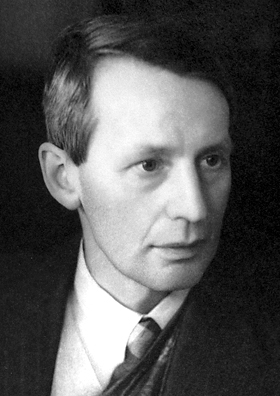 Fortunately, H.M. Hansen (1886-1956), a spectroscopy specialist at the University of Copenhagen, reminded Bohr of Balmer’s work. Bohr thought of the emission of light in terms of the electron changing orbits outside the positive nucleus. As the electron moved from one orbit to another closer to the nucleus, it lost energy. That energy appears as light emitted by the atom. Further, that energy was related to the frequency of light by the equation that Planck had invented. He invoked Einstein’s results by assuming that each change in orbit resulted in the emission of one photon (quantum) of light. To Balmer, R was a number that he determined experimentally, and m and n were integers. Not only was Bohr able to derive the form of Balmer’s formula, but he determined the value of the until then mysterious R in terms of fundamental measurements such as the mass and charge of the electron, Planck’s constant, and pi. Today, Bohr’s work is presented in most texts in a couple of straight forward steps. First Bohr established the rule for the value of the angular momentum. Thus, he established a model of the atom that required the electrons to be in various orbits around, but not all orbits were possible – only those that met his condition on the angular momentum. Then, he derived Balmer’s formula. As is almost always the case, the story was more complex than that. Bohr’s model of the atom established that the orbits of electrons are restricted to certain values. We can talk about these values in terms of angular momentum, energy or distance from the nucleus – all of them are equivalent. Most importantly, only certain values are allowed. Today we say that the orbits of the electrons are quantized. This fundamentally changed the way that we look at matter. Next time we will look further into Bohr’s atom and some of its refinements. Somewhat later we will consider the models that eventually replaced it. In this post, I will look at one of Albert Einstein’s (1879-1955) contributions to our understanding of atoms and matter. Of his many contributions to physics and our understanding of nature, this is the only one for which Einstein used the word revolutionary. It was, but so were many of his other ideas. Before our discussion, it is a good time to mention that November 2015 is the 100th anniversary of Einstein’s publication of his General Theory of Relativity. At the time of its publication, the General Theory was a sophisticated mathematical description of much of the universe and provided a theoretical description of gravity – an academic exercise that improved humankind’s understanding of the universe but seemed to have little or no practical application. However, among other things the General Theory gave us an understanding about how light and radio waves interact with gravity. Today, the understanding that comes from Einstein’s mathematical description of gravity is a critical component in making our GPSs as accurate as they are. So, the next time you hear complaints about university professors doing research that seems to have no value, think about your GPS “recalculating.” Without research that 100 years ago seemed of interest to only some physicists, the recalculation would not be accurate. Now, back to earlier in the 20th century. As we discussed last time, Max Planck had addressed the issue of the spectrum of light coming from a so-called blackbody radiator. He had come to the conclusion that light energy came in packets in which the energy was proportional to the frequency of light. He did not have a strong theoretical reason for this conclusion, but it worked. The blackbody radiator was not a practical device but many common emitters of light approximated it. However, there was another phenomenon – the photoelectric effect – that did not have a good explanation. Einstein would tackle that problem. The photoelectric effect was discovered by Heinrich Hertz (1857-1894), a pioneer in investigating radio waves. Much of the waves he generated were created by causing a spark to jump between two electrodes. In 1887, Hertz discovered that he could get a stronger spark if he shined ultraviolet light on the electrodes. Later, scientist discovered that this spark was a result of electrons being emitted by the electrodes. Thus, the ultraviolet light was causing the emission of a greater number of electrons than would occur if the UV light were not there. The phenomenon was called the photoelectric effect. An artist’s conception of Hertz’s discovery of radio waves. The device under the window has two small spherical electrodes in its middle. The wavy line between the spheres represent the spark while wavy lines above and below the spark represent the emission of radio waves. Shining UV light on these spheres increased the intensity of the spark. Hertz is holding a receiver which has a spark between two electrodes. This spark occurs when the radio waves reach the receiver (public domain via Wikimedia Commons). The basic process of the photoelectric effect is shown in the figure below. Shine UV light on certain metals and electrons are emitted. The number and energies of the electrons could be measured and compared with the properties of the light that was shining on the metal. A modern view of the photoelectric process. UV light strikes a metal and electrons are emitted from the metal (public domain via Wikimedia Commons). To investigate the photoelectric effect with a simulation visit PhET. There you can vary the parameters and “see” how the electrons are emitted. James Clerk Maxwell (1831-1879) had established that light was a form of electromagnetic wave. That is, light waves consist of vibrating electric and magnetic fields. As the light wave enters the metal, electrons begin to vibrate in response to these changing electric and magnetic fields. The electrical bonds holding the electrons to their atoms are a little like rubber bands. Small vibrations do not enable the electron to escape – the rubber band always pulls it back. Larger vibrations, however, could eventually stretch the rubber band far enough that it breaks. The electron escapes from the atom with whatever energy is left over after the bond has been broken. This extra energy becomes the kinetic energy of the ejected electron. This idea was used to predict what might happen in the photoelectric effect when the intensity (brightness) or frequency (color) of the light source was varied. The intensity of the light source describes the amplitude of the individual waves. Dim light consists of waves with small amplitudes; bright light consists of waves with large amplitudes. We could imagine metal surfaces for which the amplitude of the waves in dim light is too small to break the electrical bonds holding the electrons. Increasing the intensity of this light should increase the vibration of the electrons, eventually to the point that the electrons break free. Increasing the intensity even further should increase the kinetic energy of the ejected electrons. On the other hand, the frequency of the light should have little effect on either the ejection of electrons or their kinetic energy. Changing the frequency of the light source simply changes the rate at which wave disturbances reach the metal surface. If the amplitudes of the waves are not sufficient to help the electrons break the bonds, changing the rate at which these waves reach the metal surface should not make much difference. Similarly, changing the frequency of the incident light should not affect the kinetic energy the ejected electrons have. The problem was that the measurements showed something quite different. The frequency of the light determined the energy of the electrons – the higher the frequency the greater the energy. The amplitude determined the number of electrons that were emitted but had no effect on the energy. The experimenters could shine as bright a red light (low frequency) as they possibly could on a metal and no electrons would be emitted. But shine a very dim violet light on the same metal and electrons would immediately pop out. Maxwell’s wave theory of light could not explain the observations of the photoelectric effect. Einstein’s concept of the photon provides a solution to the problems posed by the photoelectric effect. Each photon acts as a unit when it interacts with matter. When a photon encounters an electron, it does one of two things: (1) transfers all its energy to the electron and ceases to exist or (2) does nothing and goes on its way. By associating energy with frequency, the photon explains why electrons are ejected by light of one frequency, such as high frequency UV light, but not of another, such as low frequency red light. It also explains why the kinetic energy of the released electrons depends only on the frequency of the incident light. Many textbooks, including ours (The Fascination of Physics), imply that once Einstein had published his ideas about connecting Planck’s approach with the photoelectric effect, everything fell into place, and it was quickly accepted by the physics community. Philipp Lenard (1862-1947) proposed some alternative ideas. He saw the effect as a triggering phenomenon. In Lenard’s model, light did not contribute energy to electrons. Instead, the light just selected those electrons which were ready to be emitted by an atom anyway. To continue with the rubber band analogy, the rubber band connecting the nucleus and electron was already stretched. The light just provided the mechanism to release the band and shoot the electrons out. Ideas such as Lenard’s allowed people to hold on to the wave theory of light. So, they ignored or rejected Einstein’s ideas. Further, the work of Rutherford, Einstein, and Planck set the stage for a model of the atom that persists even today. More about that next time. A political footnote: The major players – Einstein, Hertz and Lenard – became caught up in the insanity of Nazi Germany. Hertz’s family background was Jewish, but his grandparents had converted to Christianity when Hertz’s father was 7 years old. Heinrich Hertz was a Lutheran. However, that did not stop the Nazis from declaring Hertz as undesirable. His portrait was removed from the Hamburg City Hall because of his Jewish background. (It has long since been restored.) Einstein was Jewish and fled Germany to avoid the persecution. Lenard was on the other side. He was a German Nationalist and joined the Nazi party. He championed “German Science” and worked with Hitler to rid the country of “Jewish fallacies” such as Einstein’s theories. Today, it is difficult to understand how an intelligent person could have held such views. Ernest Rutherford’s discovery of the nucleus provided a basic structure for the atom. However, to explain some of the observations of the 19th century required additional discoveries. In particular, the light emitted from atoms could not be explained by a simple model of an electron orbiting a nucleus. (Recall that each element emits a unique set of colors when the element is heated or, for gases, has electricity passed through it.) To get the additional tools to explain this phenomenon, we need to back up to the end of the 19th century and follow a thread that was developing simultaneously with the study of radioactivity and the nucleus. During the last half of the 19th century, some physicists were attempting to explain the behavior of matter, primarily gases, by applying Newton’s Laws to particles in the gases. Some of them were assuming that matter was made of small solid objects (atoms) that bounced off each other. This bouncing and motion could be described by using the principles that Newton had laid out. Others thought that while the basic known laws of mechanics would still work, it was better to approach the issue from the perspective on energy. All of this research is called statistical mechanics and is still an active area of research. One observation that statistical mechanics needs to explain is the one way energy naturally flows. If I put a cup of ice on a table in a warm room, the ice always gets warmer. It never becomes even colder by transferring its internal energy to the room, which would then become even warmer. To make the ice colder, we must intervene (e.g. put it in the freezer). To develop an explanation for the behavior of energy flow, Planck began looking for ways to combine mechanics and electrodynamics, the theory that describes electromagnetic phenomenon. A particular problem that Planck tackled was that of the so-called black body radiation. The physicist’s black bodies are rather poorly named because they are not necessarily black. These objects do absorb all electromagnetic radiation (including light) that strikes them. But a good absorber of radiation is also a good emitter. So the body may appear to be any color depending on the energy being emitted by it. Stars, including the sun, and a potter’s kiln are examples of black bodies that are definitely not black. An artist’s rendition of what we might see when looking at the spectrum of a radiating black body that would be somewhat orange. The horizontal scale is wavelength in nanometers. Human eyes see only about 400 to 700 nanometers, so this drawing shows much more than we can see (via Wikimedia, licensed under the Creative Commons Attribution-Share Alike 3.0 Unported license). Each black body has a characteristic color that depends on its temperature. But not all of the light is emitted at that one color. Instead, light of many colors (and therefore energies) is emitted. The distribution of colors determines how we perceive the object. When the burner on your electric stove is glowing red, it is emitting more red light than other colors but is still emitting some of the other colors. By the late 19th century, physicists had investigated the colors emitted by many different objects. They could draw graphs of the intensity of light versus wavelength or frequency, which is related to color. The problem was that there was no good theoretical background to explain these curves. 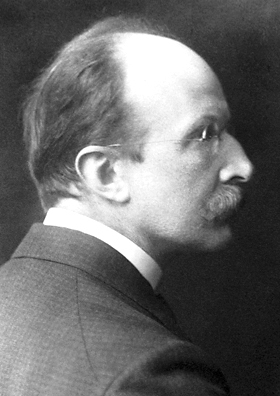 By applying statistical methods and electrodynamics to the material in a black body, Planck was attempting to create such a foundation. The black body radiation curves that Planck was seeking to explain. T in the graphs is the temperature associated with the object, called the black body temperature (public domain via Wikimedia Commons). Two nice interactive graphs are available on the web. To see an interactive graph with as indication of the color that we see for stars as the temperature changes, go to McGraw Hill Education. To “create” similar graphs for a variety of object including an oven, light bulb, and the sun go to PhET Interactive Simulations. You will need to zoom in to see the graphs for the earth and the oven. The symbol n is an integer number. Today, we refer to h as Planck’s constant. With this additional hypothesis, Planck was able to match the intensity versus frequency spectrum for black bodies at all temperatures. Creating a formula to match an observation is not such a big deal. However, the idea underlying Planck’s assumption started a revolution is physics. His assumption says the light energy is emitted in discrete amounts. If we have an electrically charged object that is oscillating with a frequency f, the object can emit light with energies of only n times h times f. All other frequencies are somehow forbidden. Light comes out of the object is discrete small packets. Those packets are now called quanta or photons. From this beginning, quantum mechanics was built and changed our fundamental understanding of the nature of matter. Historians of science discuss whether Planck understood the importance of his discovery. Some argue that his formula worked, but Planck had little understanding as to why. Others think that he did see the deep meaning that allows only certain energies to be emitted. Of course, there are historians who are in between these two views. By the time Planck received the Nobel Prize, much progress had been made in using Planck’s hypothesis to describe a variety of phenomena. In his Nobel lecture, Planck stated that science “owes [current knowledge] to the unceasing progress of the researchers who have put the quantum of action to the service of their investigations. A. Einstein made the first breakthrough in this domain.” We will look at Einstein’s contribution to this progress next time. Many textbooks state the Planck discovered quanta because he was trying explain something called the “ultraviolet catastrophe.” In fact, I introduced Planck’s result to my classes in this way for many years. The “catastrophe” was that some equations predicted that black bodies should emitted an infinite amount of radiation at low wavelengths (high frequencies). This does not seem to be the case. Instead Planck was bringing to together various known laws of physics and needed one new hypothesis. In 1878, Philipp von Jolly (1809-1884), Planck’s physics teacher at the University of Munich, told the young Max Planck to pursue some other discipline. Jolly believed that there was nothing new to be discovered in physics and “all that remains is to fill a few holes.” Planck was interested in understanding nature as it was, so he studied physics anyway and created some monstrous holes that still need to be filled. Planck’s fourth son, Erwin, was involved in the July 20, 1944, attempt to assassinate Hitler. A few years ago, this event was depicted in the film Valkyrie. Erwin Planck was executed in January 1945 for his role in the attempt.